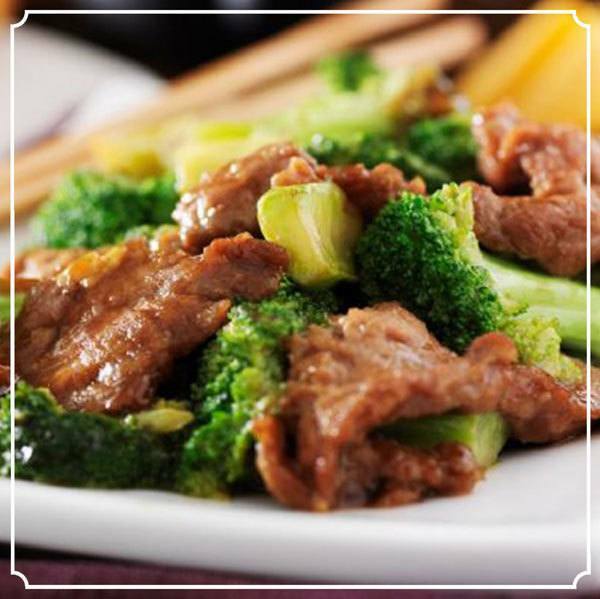 Toss together cornstarch, salt, pepper, and beef in a bowl until meat is coated. Heat 2 tablespoons oil in wok or sauté pan over medium high heat until hot but not smoking, stir-fry beef until just cooked through, approx. 1 minute. With a slotted spoon, transfer beef to another bowl and keep warm. Add remaining oil to sauté pan along with broccoli and garlic. Stir-fry until broccoli is just tender and garlic is pale golden, about 2 minutes. Add soy sauce and wine and bring to a low boil. Return meat to skillet. Stir until sauce is thickened. This sounds amazing! Can’t wait to try it for dinner this week. Thanks for sharing! I tried this last night and it came out delicious! The prep was easy even for a novice! Thanks for sharing!